I was recently contacted by CSNRugs.com to do a review of one of their rugs. CSNRugs.com has a wide selection of affordable rugs, from Oriental Rugs to Handmade Rugs. I chose the 5'3" X 7'5", which fits the interior portion of my living room PERFECTLY. I'd share a photo but my living room is a mess right now! (Maybe I'll update this post later with a photo.) This rug is soft, beautiful, and most of all, ties all of the colors of my living room together. 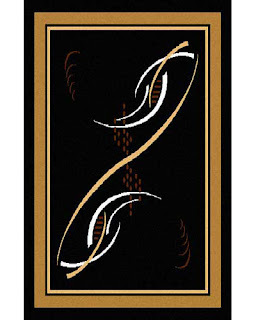 Stop by CSNRugs.com and check out their gorgeous rugs (and other home accents) for yourself! They even ship to Canada! Thanks to CSNRugs.com for this review opportunity!